이산가족은 분단의 산물이며 희생자로써, 이들의 문제는 인권적 측면과 인도주의적 접근이 필요하다. 최근 남북 간 합의를 통한 접촉이 지속되고 있고, 민간차원의 자발적 접촉도 계속되고 있다. 남북 이산가족의 교류 증가로 이산가족의 가족관계, 재산권, 상속권, 대북송금 등 새로운 법률적 문제가 발생될 수 있으므로 그에 대한 정부의 체계적인 대응방안이 요구된다. 현재 이산가족 문제에서 나타나는 남북한 주민간의 재산, 혼인 등의 법률적 문제는 탈북자, 국군포로, 납북자의 입국으로 통일 이후가 아닌 현재 시점에서 중요한 사안이 되고 있다. 따라서 이산가족문제는 긴급성을 요구하는 것이지만 사안이 적용되는 성격을 고려하면 통일 이후 전면적 적용을 고려하여 체계적이고 통합적인 대안 모색이 필요하다. 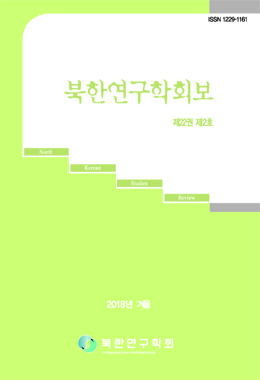 이산가족 관련 법률안에서 가족, 재산, 혼인, 대북송금 등의 문제는 통일 이후 가족법, 재산법, 북한법률의 효력수준 등에 대한 통합적 논의과정을 거쳐서 통합 특별법의 형식으로 제시한다면 실효성을 높일 수 있을 것이다. The dispersed family is a creature of the times and miserable victims in the tragic division of the Korean peninsula. This is a matter of human rights and humanity. Recently, the official and personal contacts between South and North Korea are continuous. the increasing of exchange the dispersed family makes legal problems such as the family relationship, property rights and the rights of succession. Therefore, the government should make some strategic plan on this legal problems. This legal problems are not the matter of the current matter but `after unification`. So the matter of dispersed family is a great emergency. But regarding the situation of `after unification`, it requires systematic and general counterproposal.